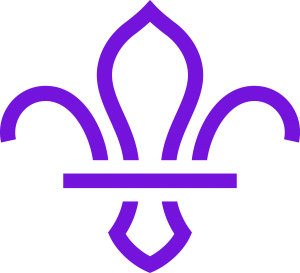 19th Durham Scout Group is now a thriving group with Beaver, Cub and Scout sections that meet regularly at the Nelson Hall Scout Hut, set in a green area behind St. John’s Church in Neville’s Cross. View a Map to our Hut. The kitchen was upgraded in 2005. In 2006, the original roof was replaced, all the internal walls were replaced and insulated, and new heaters were installed. The toilet was upgraded in 2007 to provide disabled access. In the summer of 2010, the interior ceiling was replaced and new lighting was added to make the hut a brighter, more welcoming place for the group. In the summer of 2011, a grant allowed replacement of the hut’s floor. A bike rack was installed outside the hut in 2013. It bears the name of Luke O’Connell, the Beaver who raised most in sponsorship towards the rack. The 19th Durham Scout Group opened in January 2006 following the merger of the 1st Durham Scout Group and the 9th Durham Scout Group. This helped both groups: the 9th Durham group had a building but no Cub or Beaver sections and declining Scout numbers, while the 1st Durham group had good Beaver numbers, but no building of its own. The 6th Durham group was first registered on the 7th August, 1930, and the Scout Master was Mr. Hallaham of The Avenue, Durham. The years between this date and the early 1950’s are shrouded in mystery, although from looking at the district trophies it seems that 6th were very good at sports and also won competitions in Scoutcraft. In the early 1950’s the Cubs and Scouts were meeting in the “Scout Hut” behind St John’s Church under the leadership of W. Nelson and L. Mitchienson. Even at this date the original hut, which was second hand and originally belonged to the 2nd Lady Boyne Group, was in a state of disrepair and modifications were being carried out. During the 1950’s, the Cub section gained strength, feeding a small but strong troop, and in 1956, a joint camp was held with the 3rd Durham at Raby Park. When Mr Mitchienson retired, Bill Nelson took over the Scouts, Mrs Nelson now being in charge of the Cub Pack. When the first Chalmer Shield for Cubs took place, it was won by 6th Durham. As there were no senior Scouts in 6th, in 1961 the older Scouts went to the 3rd Durham Seniors, forming a senior section that proved to be the best in the County, 3rd lads providing the brawn, and the 6th the brain. The last Scout Leader of the 6th was Rodger Darsley, who pioneered the work on the new hut, drawing up the initial plans and encouraging the parents’ committee to raise the money. Unfortunately the time came for Rodger to leave the University and get a job, which meant that the Scouts would be without a leader. This happened just at a time when the 3rd was without a meeting place, and the problems of the both troops were solved by the amalgamation. The 3rd Durham Scout Troop was formed on the 27th November 1953 round a lamp post in the North End. Subsequent meetings were held in the basement of 7 Western Hill, Durham, the home of Alan O. Pigg who was the founder of the troop. The first patrol was called the Tiger Patrol and consisted of Patrol Leader Michael Macaulay, Second Charles Hedley, and Scouts Peter Hewitson (died 25/08/1954 – road accident), Samuel Valentine and David Macaulay. As the troop grew, a room over the garage at the rear of 7 Western Hill was put at the disposal of the Troop. The 1st Durham Scout Troop originally met in St. Oswald’s Church Hall. It was successful in attracting members, but by 2005 it had outgrown the facilities that could be offered by the church hall. Merging with 9th Durham in 2006 brought together members and facilities, creating the 19th Durham group. The 9th Durham Scout Troop was formed from the 3rd and 6th Durham Troops on the 1st April 1966 under the leadership of Rodger Darsley. The first activity of 9th was a summer camp at Commondale in Yorkshire in 1966. Previous to this there had been a long history of co-operation between the two troops and they quickly began to regard themselves as 9th Durham instead of 3rd or 6th. With the influx of Scouts from the two Cub packs, the nucleus of the new troop was formed. During 2004 the 9th Durham Cub pack was forced to close and there was a consequential drop in Scout numbers over the remaining years. If you have any information that we could add to this history, please send it to Webmaster.